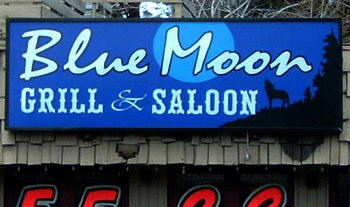 A very popular choice in Tahoe because of their ability to shine light through which makes plex signs really stand out at night. If you do not already have a "Backlit Sign Can" (also known as a "Sign Cabinet") to install the sign into, we can custom build and install one for you. We are the #1 local Custom Sign Cabinet Makers. You can see most of our Signage in Tahoe but we provide signs for many clients in California.